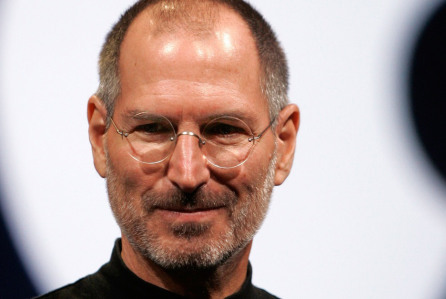 First Leonardo DiCaprio and then Christian Bale turned down Aaron Sorkin’s Steve Jobs film. Now, in an unexpected turn of events, Sony pictures itself has dropped the film, reports Deadline. In a shocking development, the Aaron Sorkin-scripted film about Apple genius Steve Jobs has been put in turnaround by Sony Pictures, and Universal Pictures is making a strong play for the movie. The film, an adaptation of the bestselling Walter Isaacson biography, has Slumdog Millionaire‘s Danny Boyle set to direct, with Michael Fassbender recently courted to play Jobs. The film is produced by Scott Rudin, Christian Colson, Mark Gordon and Guymon Casady. The Hollywood Reporter believes that, like most film issues, this problem has been caused by dates as well. Michael Fassbender, who’s the latest recruit to play the role of Steve Jobs, is available in January 2015. Danny Boyle, the director of the film, is happy to comply with Fassbender’s dates. However, Sony wants the film to kickoff a but later when Fassbender is unavailable due to commitments to the next X-Men film, X-Men: Apocalypse. After pulling out of the project, Sony has put the film “in turnaround.” This essentially means that another studio is free to purchase and take over the project. Deadline states that it’s quite certain that studio might be Universal Studios. This would mean that the film would not lose any momentum and may stay on schedule.